This great value bundle comes with our technically advanded Freshtec topper helping to improve airflow and fight heat retention. Includes everything you need for a great night's sleep: an easy to use zipped sheet, a luxurious pillow and pillow case and one of our handy travel bags. 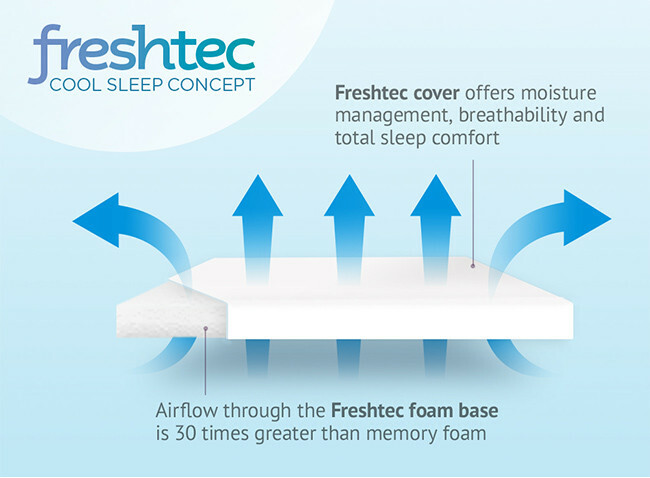 FreshTec is our technically advanced cooling foam – a premium alternative to memory foam that not only offers pressure relief and first-class comfort, but also actively fights heat retention due to its increased airflow properties. A favourite among Duvalay customers who suffer night sweats or hot flushes, FreshTec can also aid sleep during the menopause. 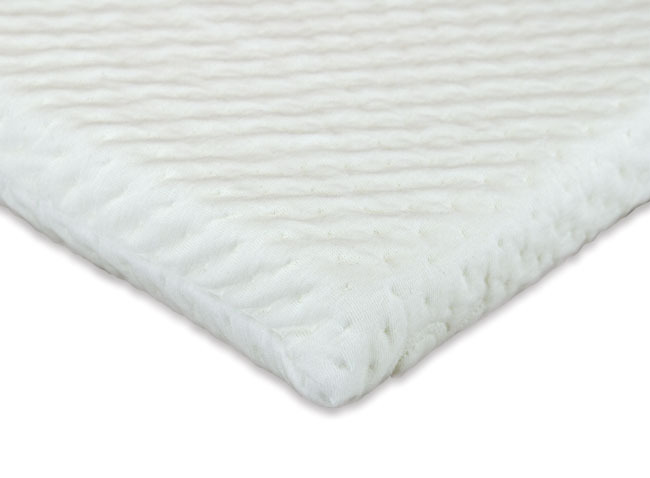 All our FreshTec products come with a cover that is specifically designed to complement FreshTec foam and give you a cooler night's sleep. 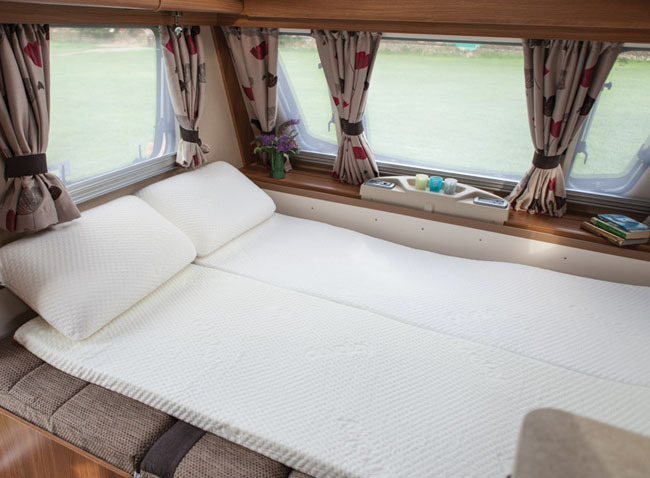 Simply roll out, sleep in comfort and pack away into the storage bag. All our travel toppers come with buckled straps ensuring easy as possible rolling and storage. Standard delivery will usually take around 10-14 working days. Expedited delivery will usually take around 2-3 working days. Standard delivery will usually take around 3-4 weeks. Sorry there are no options for expedited on these items. Delivery times and prices quoted above are applicable to the UK Mainland only. Require delivery outside of the UK Mainland? Please contact our sales team on 01274 877200 for a quote. Orders with a combination of large and small items will arrive together and you will only pay one delivery charge. Orders that include a full mattress will be delivered together within the longest delivery time shown. Free delivery is only available when the total price of goods exceeds £250. This service is not available for full mattresses at 15cm up to 20cm deep or for customers requiring delivery outside of the UK mainland. If for any reason you are unavailable to sign for the goods when Interlink deliver, in most cases they will leave items with a neighbour or in a safe place and will also leave a card to let you know where they have left your items. We will ask for special delivery instructions during checkout. If you have provided us with a mobile number, our courier will text on the day, an hour’s time slot for approximate delivery. They will also provide this information via email. We reserve the right to restrict these services at any time. We reserve the right to alter or amend delivery times in exceptional circumstances. All delivery times quoted are subject to stock availability and delivery location. Registered in England No. 5058064 | VAT Registered No. GB814091060. Sign up for our newsletter and get the latest product updates and special offers directly to your inbox.